July’s meeting was hosted by Maria Boustead, Founder, Owner, & Designer of Po Campo. Maria began the evening by describing her journey through the industrial design industry. She began with designing thermal bags and then moved to branding and package design, specifically with bottles. She built on both her previous experiences when she started her own bike and lifestyle bag company, Po Campo. 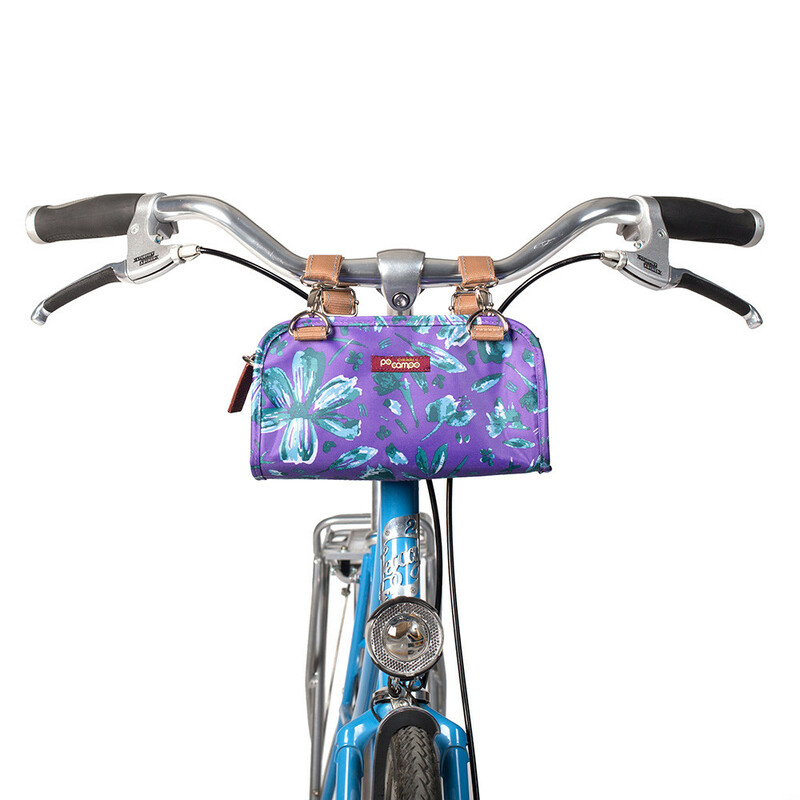 Po Campo was built around a core idea of versatility — the design of uniquely functional bike bags that attach to bikes in a variety of ways while doing double-duty after the ride as stylish accessories. The line’s original design was the bike handle bag which has been redesigned multiple times throughout Po Campo’s six-year existence. The bag’s adaptable nature has made it hard to categorize for the market, but Maria has overcome these challenges with extensive user and market testing. For those LWD members working outside of industrial and soft good design, Maria enlightened us about her design process and how she communicates her design intent to fabricators. Sometimes, clear communication requires physically buying another bag with a particular feature, cutting it out, and including it with her own drawings in order to achieve accurate results. She also discussed the pros and cons of designing for local manufacturing (incredibly cost-conscious requiring more minimal design and less labor intensive features) vs. overseas production (a sort of “designer’s paradise” where any feature can be incorporated) and the benefits of small-run production (the ability to respond to user feedback and constantly be improving a bag’s design with each run). For all members, the overall message of the evening was the importance of believing in one’s own ideas. Thank you, Maria, for an inspiring evening of sharing your space and your journey with Po Campo.